In this file photo taken on March 13, 2017 French accordionist and composer Francis Lai poses during the photocall for the premiere of the film "Chacun Sa Vie" in Paris. Lai, 86, who composed with French singer and songwriter Pierre Barouh the music of Claude Lelouch's film "A Man and a Woman" in 1966, died on November 7, 2018. GABRIEL BOUYS / AFP. 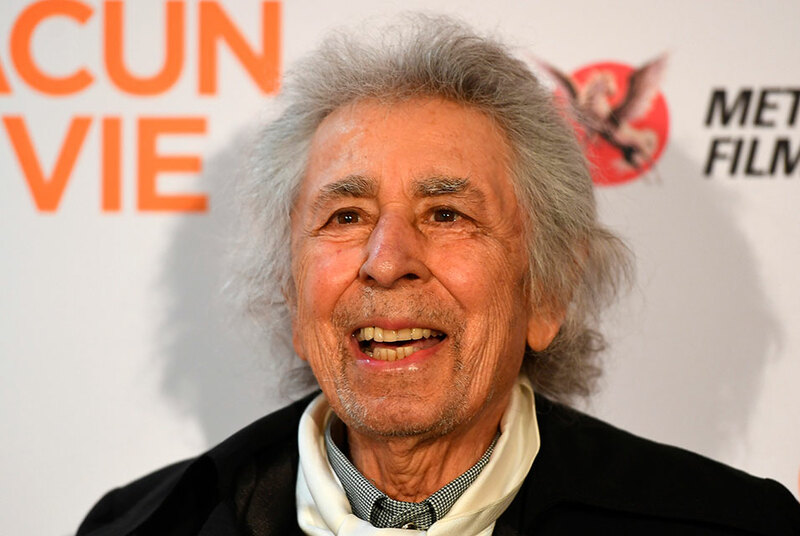 PARIS (AFP).- Francis Lai, the composer behind memorable songs and film scores for dozens of French artists, has died aged 86, the mayor of his Mediterranean hometown of Nice said Thursday. Besides writing music for stars like Edith Piaf and Juliette Greco, Lai was perhaps best known for creating the title track to the 1970 box-office hit "Love Story". "With just a few notes, Francis Lai had the gift of rendering grand films even more beautiful, even more moving," Culture Minister Franck Riester said on Twitter. "Now that he leaves us, his immortal scores resonate in our hearts," he said. Born into a family of gardeners in Nice in 1932, Lai taught himself music and began his career as an accordionist for the poet and singer Bernard Dimey, with whom he started writing songs. French stars Johnny Hallyday and Dalida, as well as American jazz singer Ella Fitzgerald performed his works, and Lai also wrote Piaf's first song, "Le Droit d'Aimer" (The Right to Love). He also came up with Yves Montand's hit "A Bicyclette" (By Bike). But it was his work for Claude Lelouche which would change the arc of his career, becoming the musical mind behind some of the French director's most enduring works. The two met through their mutual friend Pierre Barouh, who wrote the lyrics for one of Lai's wildly successful "Dabadabada", the melody which marks Lelouche's 1966 classic "A Man and a Woman". Originally sung by Nicole Croisille, more than 200 versions have since been recorded in France and beyond. "Ba-da-ba-da-ba-da, it's just a jazz reference. We were all wild about jazz and this ba-da-ba-da-ba, this bit of onomatopoeia, was a way of drawing out the verse," Lai told AFP after Barouh's death in 2017. For "Love Story" he would win an Oscar with the theme "Where Do I Begin", sung by Andy Williams and Shirley Bassey. Overall he would write more than 100 film scores and 600 songs, most recently working on the music for a sequel to "A Man and a Woman". "He was an angel disguised as an accordionist," Lelouche told RTL radio on Thursday, saying they had worked together on 35 films over the past 50 years. "He made the heart beat in all my films."